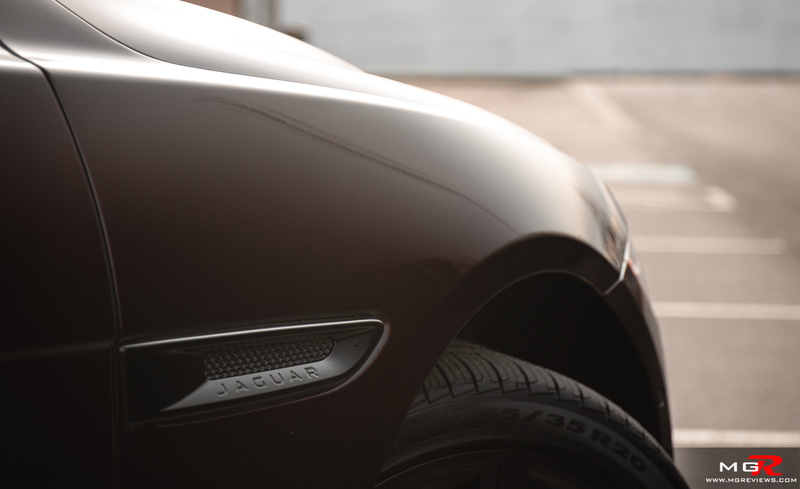 Jaguar in recent decades have been looked at as the cars for “old people”. 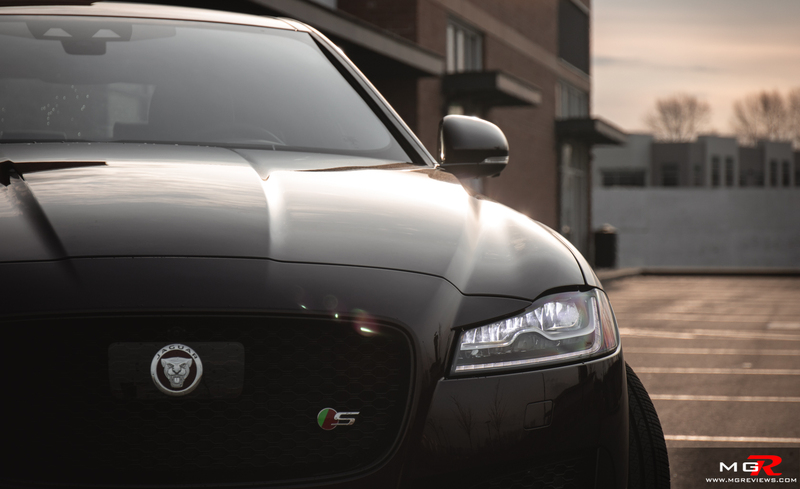 But in the last 10 or so years, they’ve tried hard to change that image and the XF was one of the first models to do so. It was the first model on a new platform and was designed with computers not chizels. 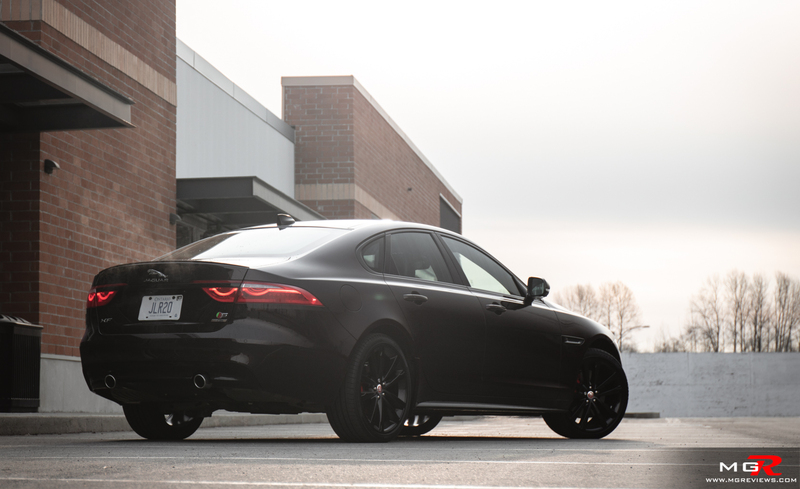 Now in its second generation, the 2019 Jaguar XF continues its sights on attracting younger buyers. 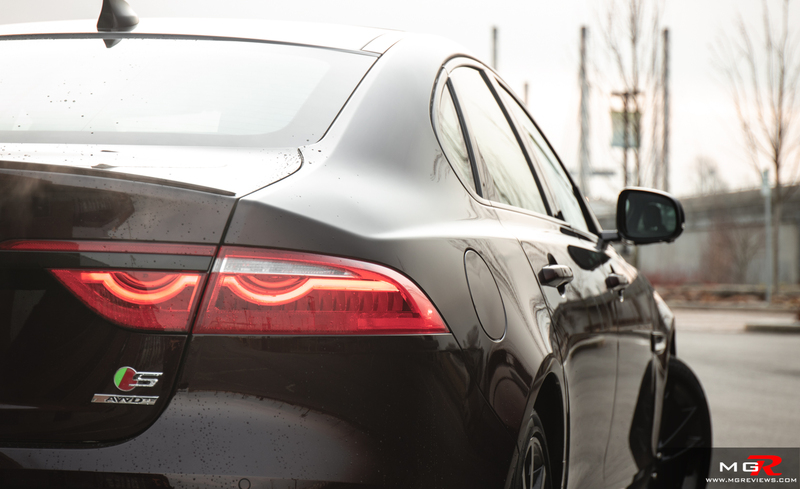 Engine – There are 3 engines available with the Jaguar XF. A 2.0L Turbo Diesel (yes, a diesel), two variations of a 2.0L turbo gas, and a 3.0L supercharged V6 as equipped in this demo vehicle. The latter produces 380 hp and 332 lb-ft of torque going to all four wheels. It’s not the fastest cat in this particular type of luxury sedan market but it feels pretty brisk from behind the steering wheel. Because there is no lag with superchargers, throttle response is very quick. The engine’s power is linear so it pulls at the same constant speed whether it’s at low rpms or higher rpms. 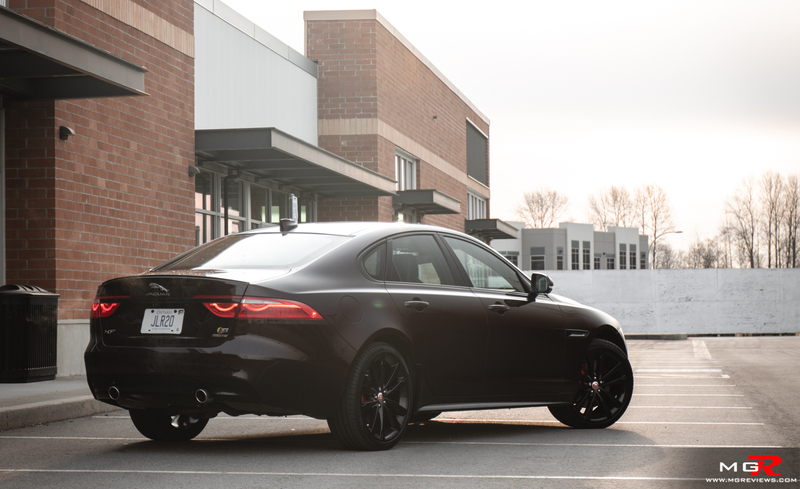 Jaguar claims a combined fuel economy rating of 10.4 L/100km (22.6 mpg) however during my time with the XF, I managed an average of 13.0 L/100km (18.1 mpg). Not terrible for a sedan that weighs in at 1,760 kg (3,880 lbs) but it is hard to reach the claimed combined fuel economy figure. 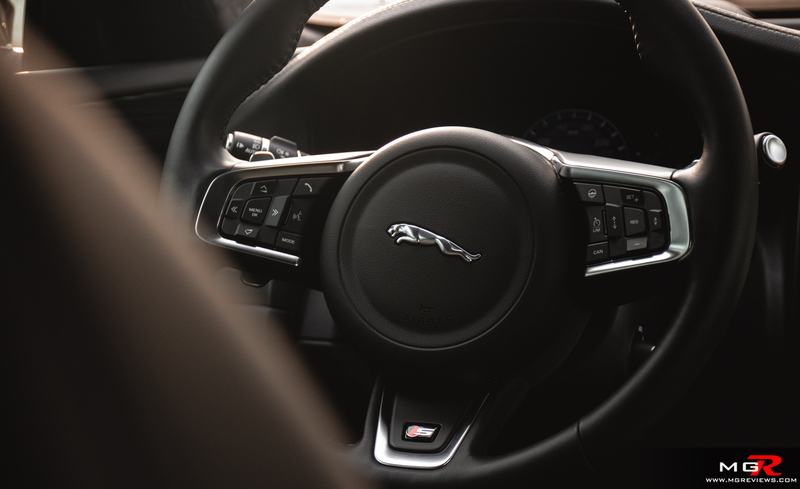 Transmission – The ZF 8-speed automatic transmission performs well in the 2019 Jaguar XF. It is similar to the one found in the F-Type P300 and F-Pace SUV. 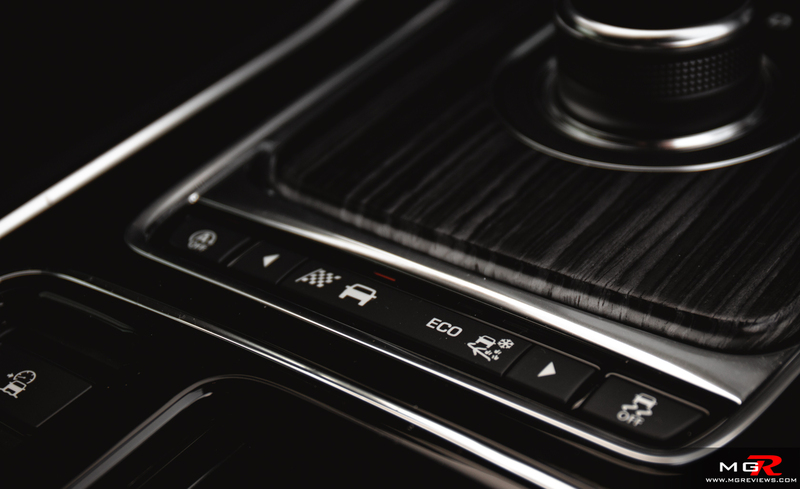 In the normal Comfort mode, shifts are almost not noticeable and the transmission reacts quickly enough to a stab of the throttle when wanting to overtake. 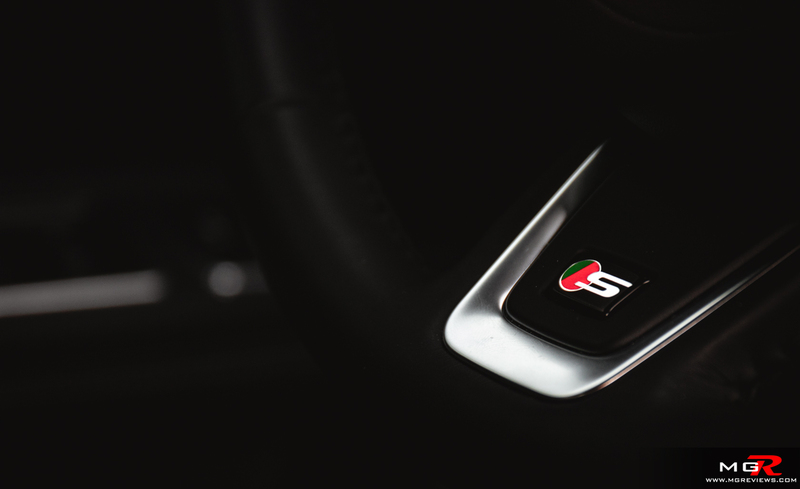 In Sport mode and using the paddles, the 8-speed automatic is quick to respond to driver input but the shifts between gears are slightly rougher. 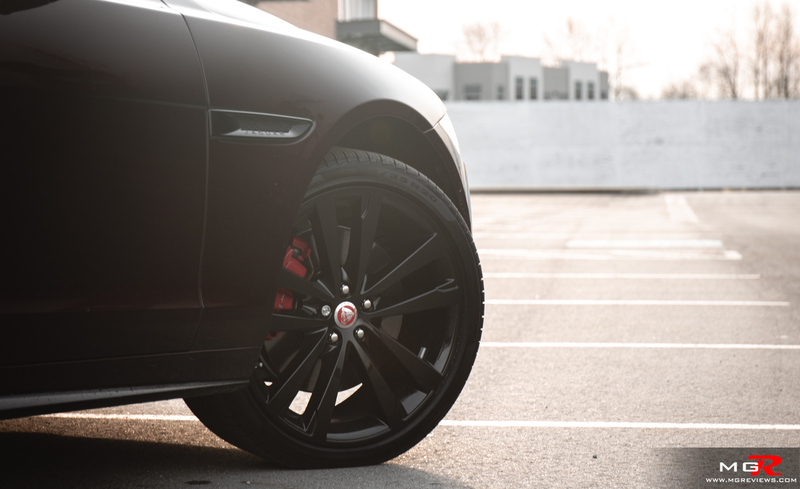 Braking – This Type-S Jaguar XF has sensitive brakes. No, not emotionally sensitive. Sensitive in the sense that they provide a lot of braking force with very minimal pedal pressure. It takes a few minutes to get use to how quickly they can bring the car to a stop without making the vehicle behind you hit your back bumper. 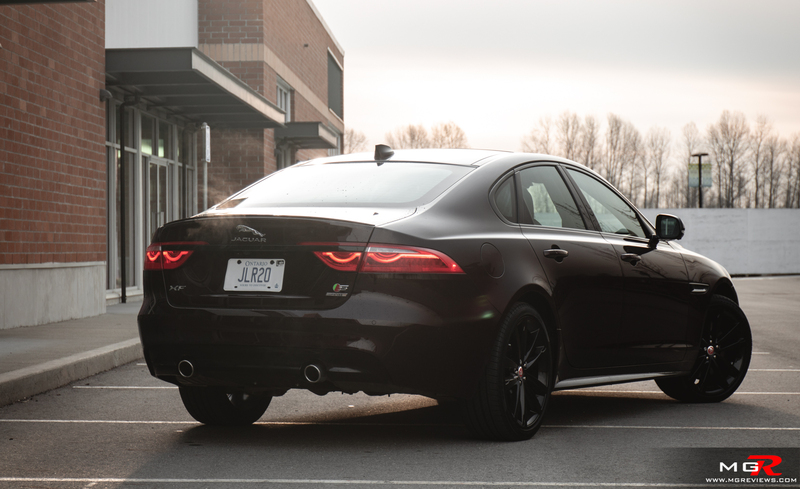 Handling – Being first and foremost a luxury sedan, you’d be forgiven for thinking that the Jaguar XF drives like a boat. But it doesn’t. 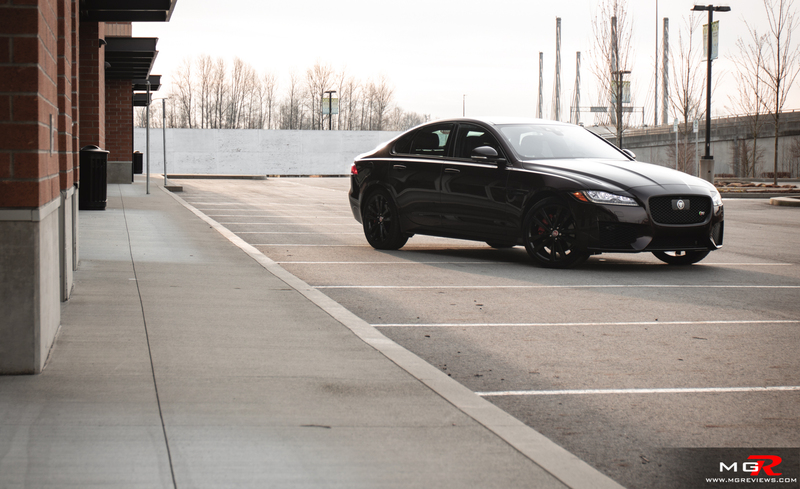 While it is still a heavy sedan, it feels agile behind the steering wheel. It is direct and planted around corners. The all-wheel-drive system is rearward biased but can send up to 90% of the power to the front wheels if required in slippery conditions. 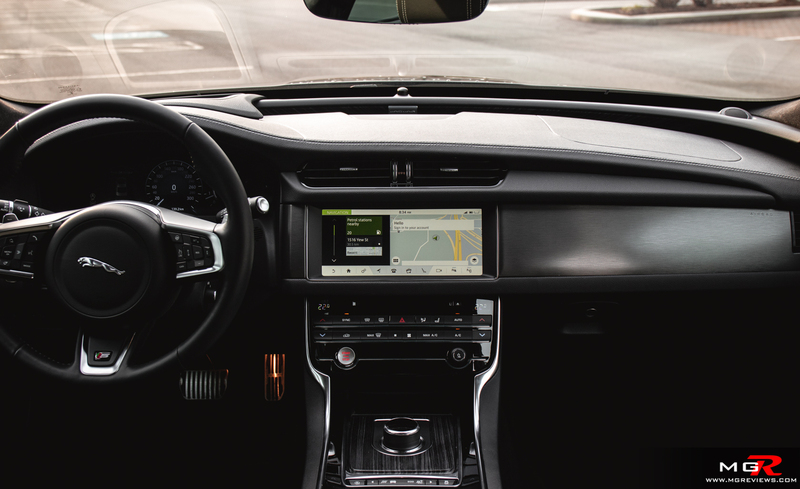 Ride Comfort – The 2019 Jaguar XF Type-S straddles the line between being a sports sedan and a comfortable luxury sedan. The ride is firmer than a luxury sedan like the Lincoln MKZ but it’s not as stiff as the Honda Civic Type-R for example. You can feel small potholes and cracks in the road through the seat but it’s not uncomfortable. 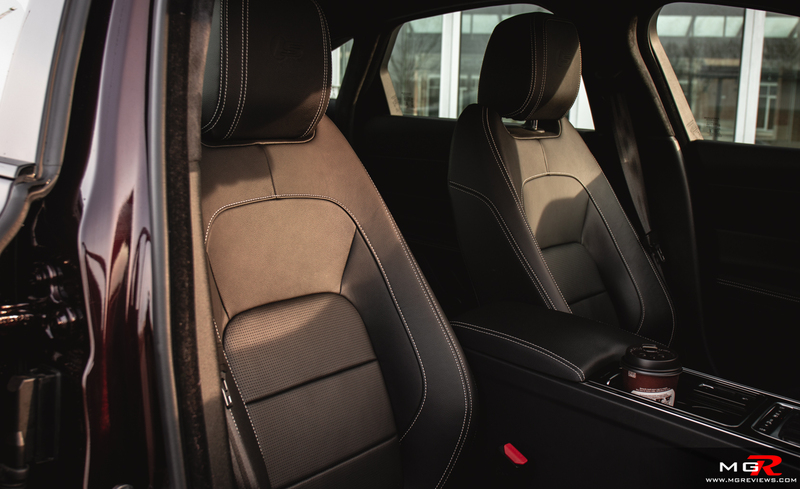 Interior Space – The XF has an abundance of space for the front occupants. 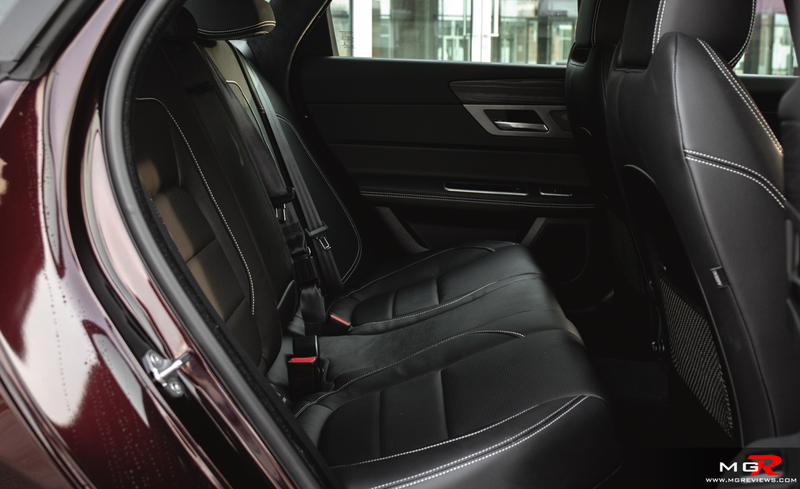 The front seats can go high or low enough to accommodate any size person. The rear seats however are tight for legroom which was a bit of a surprise for a car this size. Trunk space though is generous with a deep trunk but the width between the wheel arches is a tad on the narrow side. 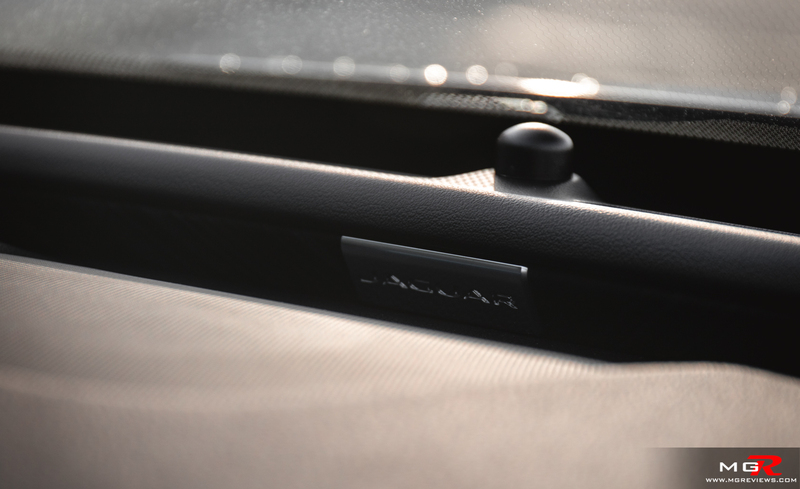 Noise, Vibration, & Harshness – When you want the Jag to be quiet, it stays quiet. When you want it to be loud… it tries to be loud. Fortunately it doesn’t have the exhaust sound playing through the speakers like the Ford Edge ST but you do get a hint of supercharger whine from the front. For the most part though it is a quiet sedan. 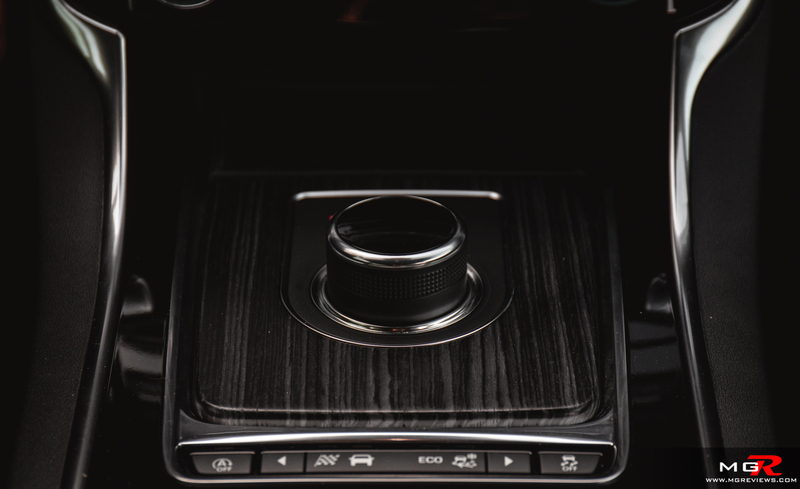 Interior Design – The design of the XF interior is reminiscent of other Jaguar vehicles. More so the F-Pace SUV. 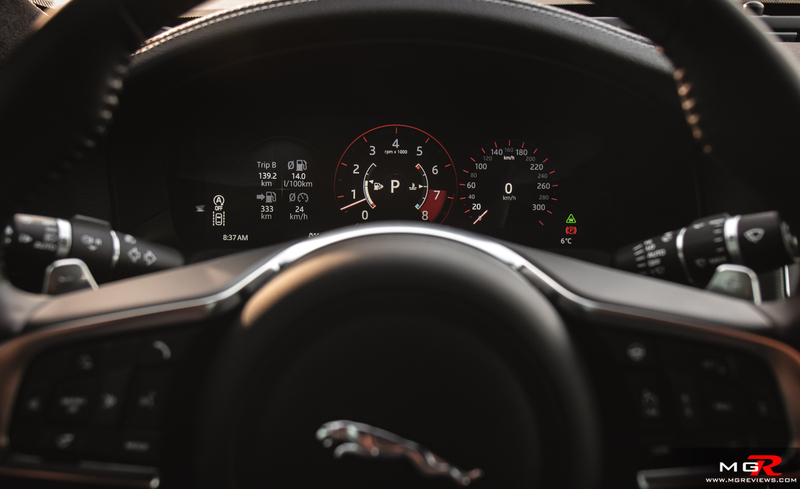 This 2019 model has the larger 10” infotainment screen and is not flanked by buttons on either side like the older 2018 F-Type SVR. The interior design has a modern look and feel but without making it too futuristic. 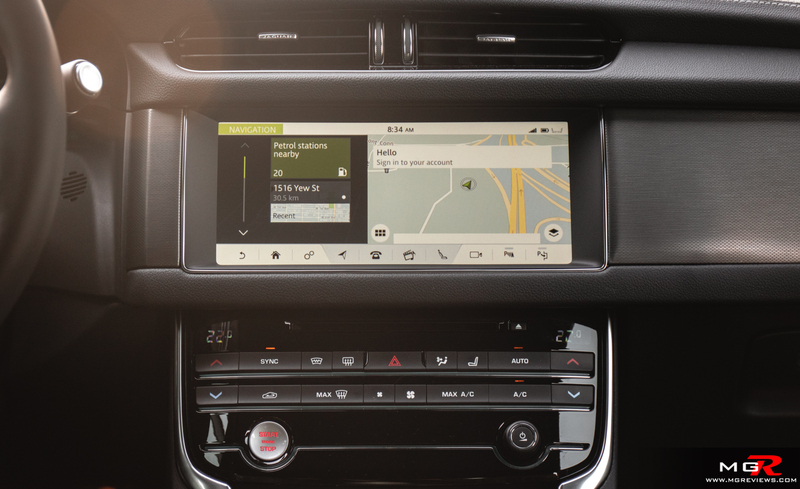 Gadgets – As mentioned earlier, the new 10” infotainment screen is the predominant feature of the dashboard and it finally allows for Apple CarPlay and Android Auto integration. 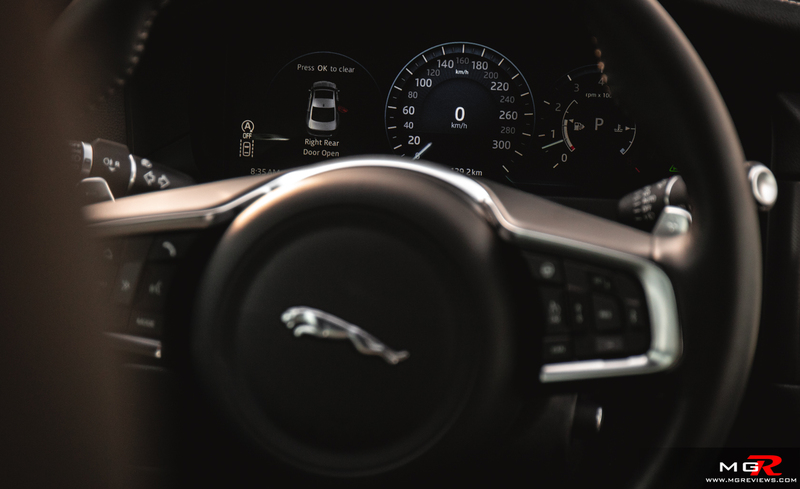 Navigating through the Jaguar infotainment system though does take some getting use to for those that are not familiar with it but after a few minutes of playing with it, you’ll get there. 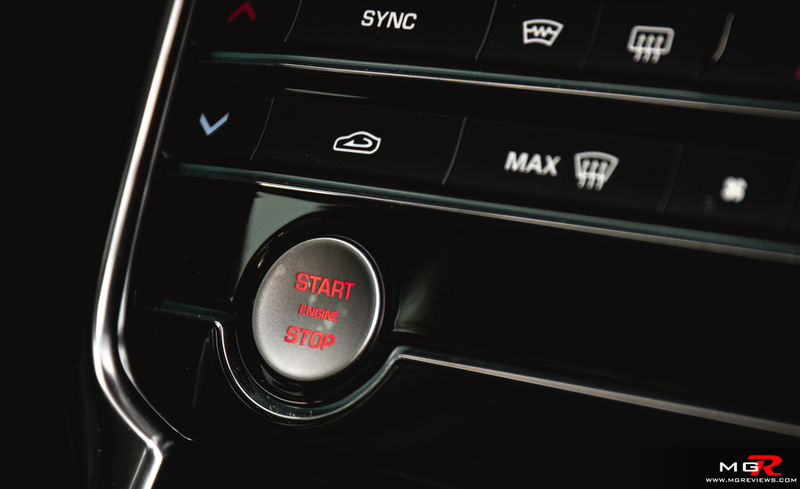 Majority of the vehicle’s setting have to be adjusted through the driver display and controlled via the steering wheel mounted buttons which is distracting when driving. So it’s best to pull over and make the changes. This Type-S trim starts at just over $75,000 CAD but with the extra options on it, the price is closer to $92,000 CAD before taxes and additional fees come in. It has everything you would need and more such as soft door close and a heated windshield. 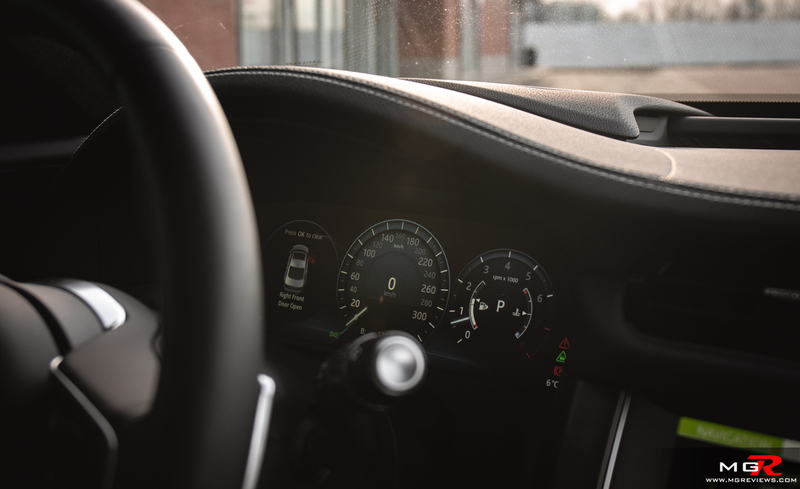 However one thing that could use a major update is the heads-up display. It feels like it’s from a GM vehicle from the early 1990’s. Mazda’s HUD system in the CX-9 is far superior and that’s considered a mainstream vehicle not a luxury vehicle. 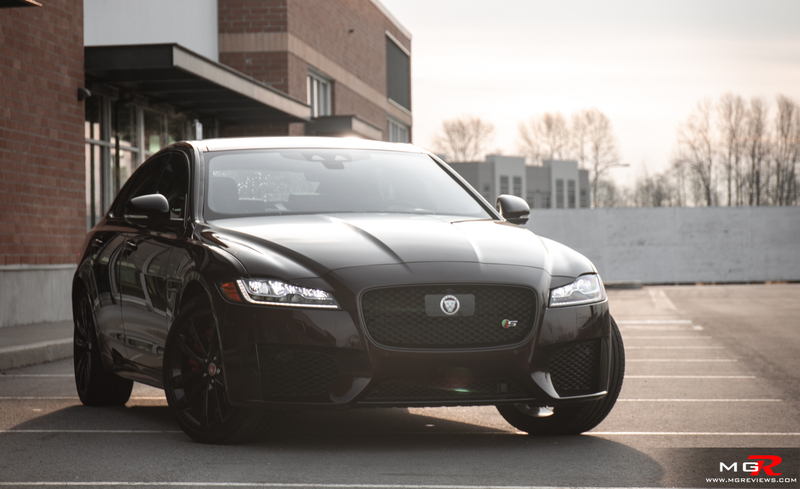 Exterior Design – In 2015 the Jaguar XF went through a generation change which not only included new aluminum body pieces, but also a freshening up of the styling. 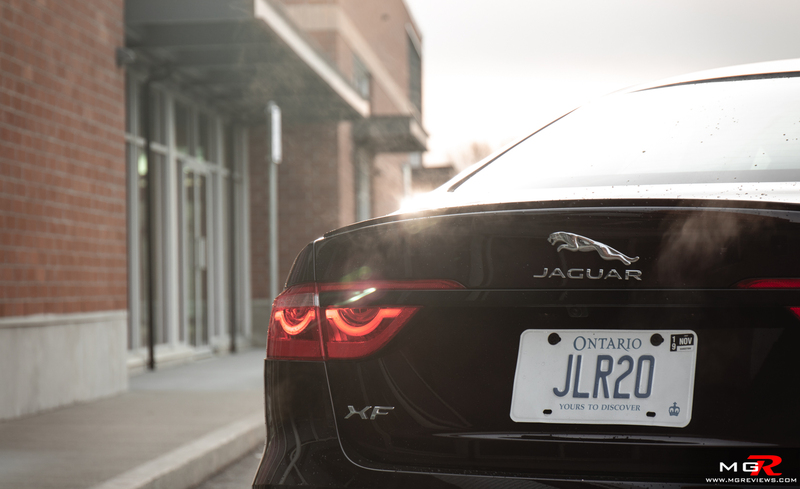 This 2019 model looks slightly more aggressive with the “cat-like” headlights and cut off rear circular tail lamps. This particular demo also has the Black package which adds black side vents and black grille to match the black wheels. 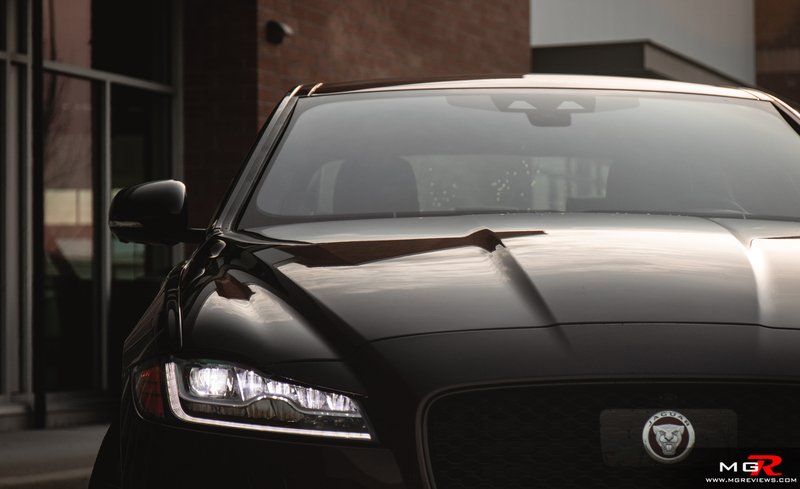 Overall the exterior styling is bold but without being too extravagant and over the top. 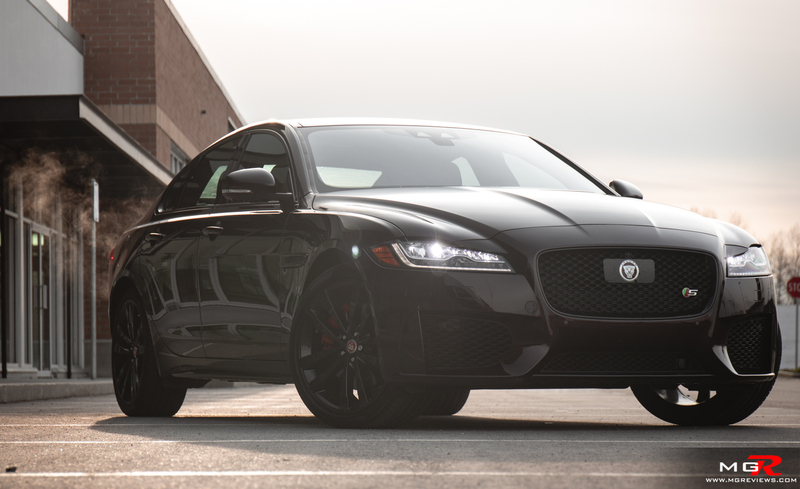 So has Jaguar succeeded in making the XF more appealing to younger buyers? Well younger than 80 years old? Sure. But not those in their 30s or 40s. 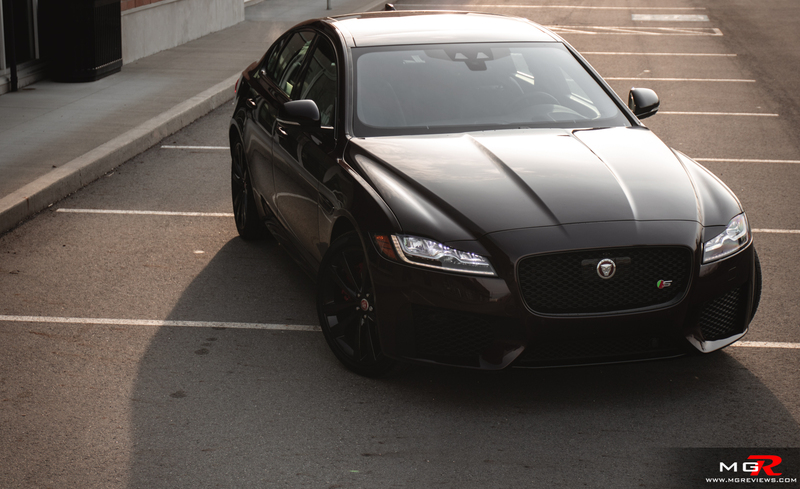 The XF is more for a businessman or woman but it’s competing a class where traditionally the Germans dominate. 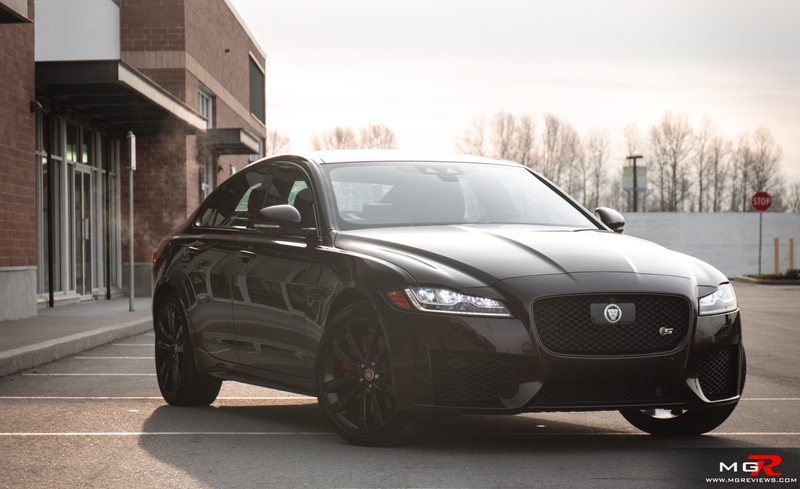 The Mercedes E-class and BMW 5-series are still kings and though the Jaguar XF is a good car, it has stiff competition. At the price point that this particular demo is at, the Mercedes-Benz E53 AMG would be the better bet. 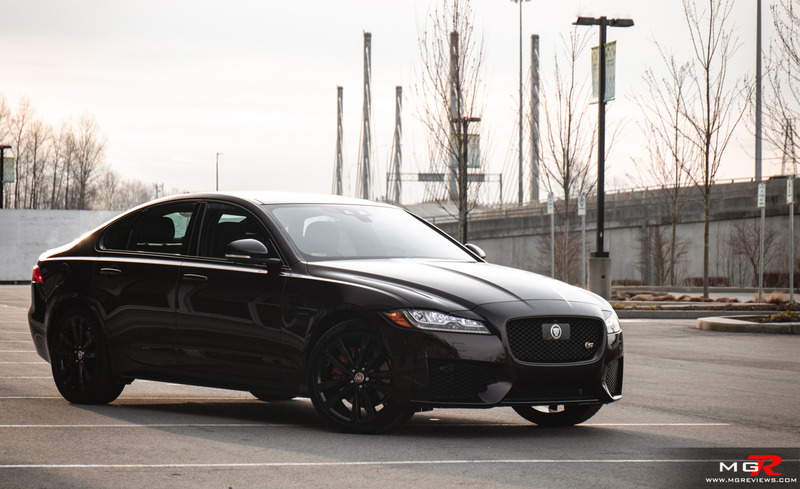 However if a Jag still tickles your fancy, then the 2.0L Ingenium XF with 296hp at $67,000 CAD is the better bet.